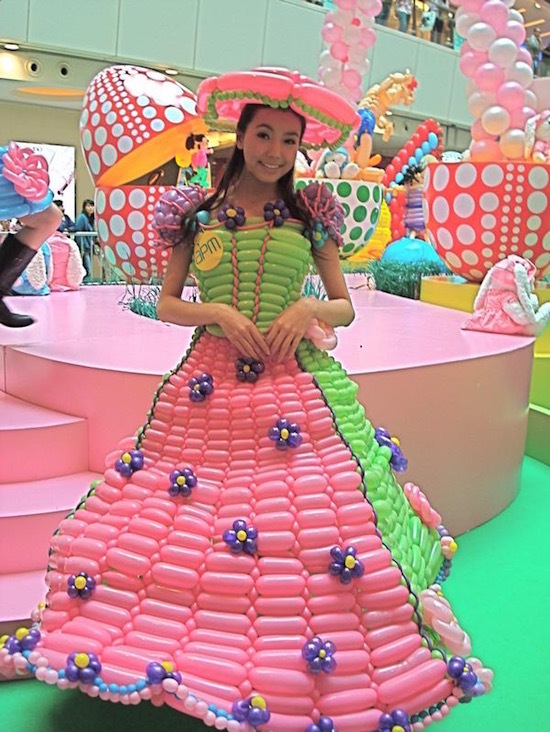 Balloon dresses have brought on a new era in ballooning, and have taken the fashion industry by storm. 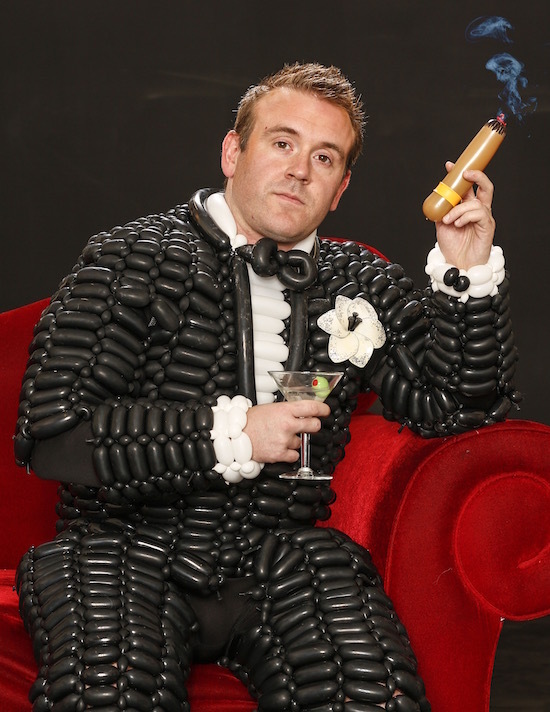 A lot of the excitement over these balloon dresses stems from the fact that this new medium for art and expression in the fashion world has virtually no creative limits – and this is what first drew Tawney Bubbles, an award winning balloon artist based in Las Vegas, to the balloon fashion scene. 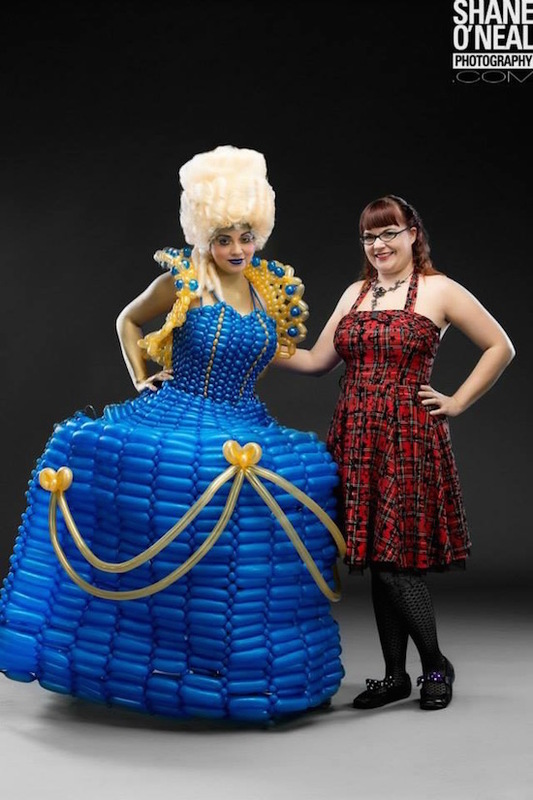 Fascinated by the idea of creating wearable art from balloons, Tawney set to work creating extraordinary balloon dresses, adding a personal, unique touch to each and every piece to create the signature, playful, fun and humorous style that she is known for today! 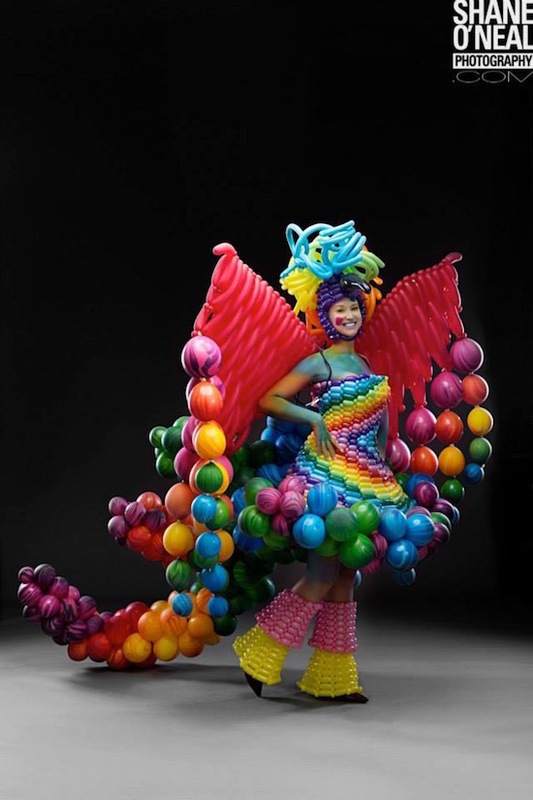 After taking a look at Tawney’s awe-inspiring masterpieces, most people are struck by how many balloons there are and how long it must have taken her to create the pieces. 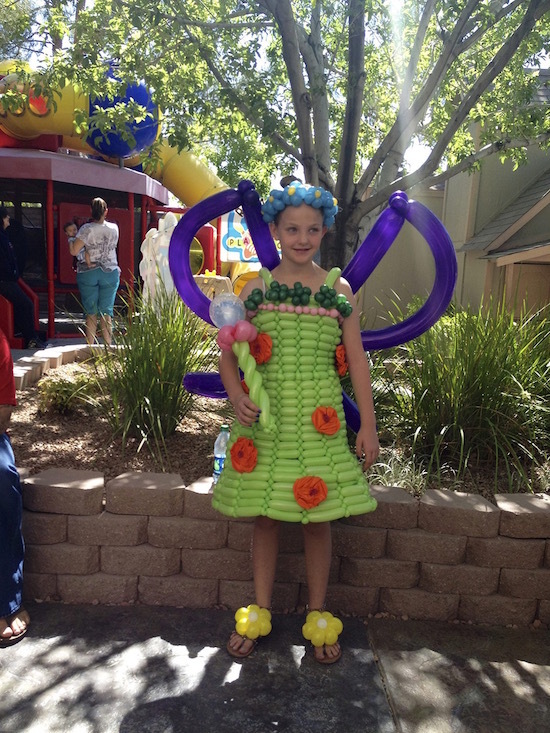 Each dress goes through a unique design and creation process, and depending on the complexity, size and design/style of the balloon dress, Tawney takes between 4-20 hours to complete it, using anywhere from 100-1000 balloons! 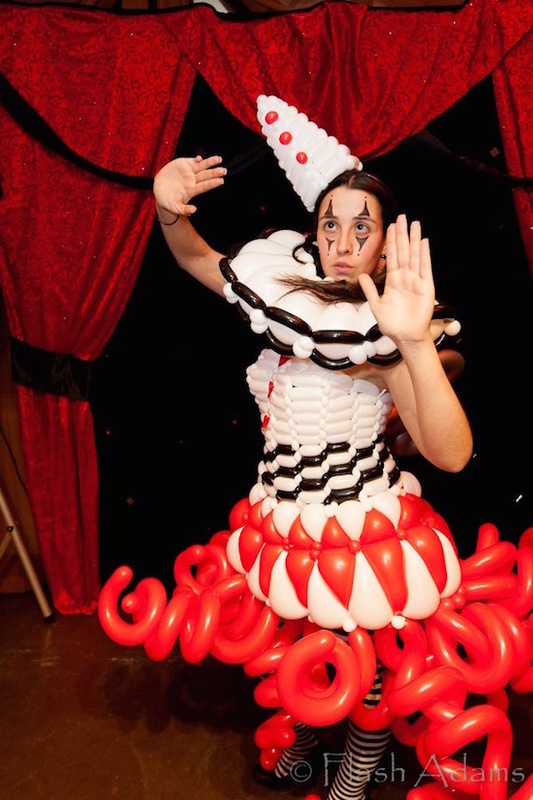 Anyone who has dealt with balloons and has some experience in balloon twisting knows that this is a tricky business and requires a lot of patience, practice, and talent. 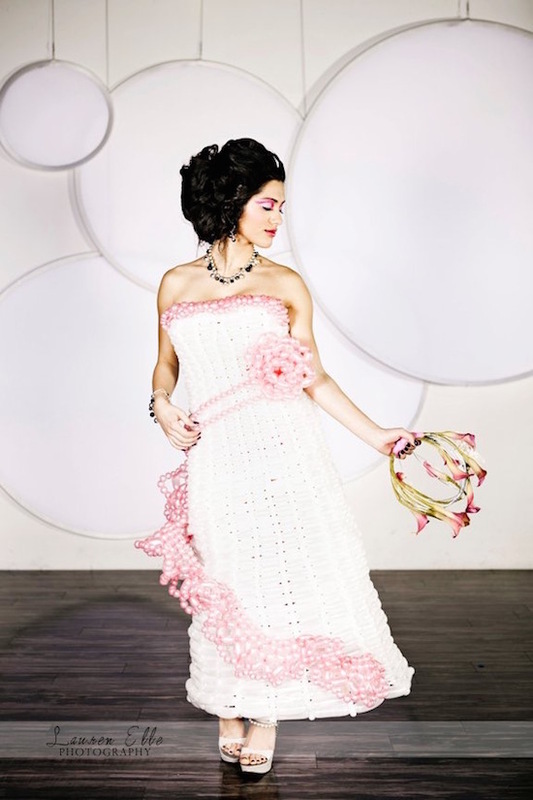 No matter how easy Tawney may make it seem with her flawless movements and her spectacular dresses, it is definitely hard work. 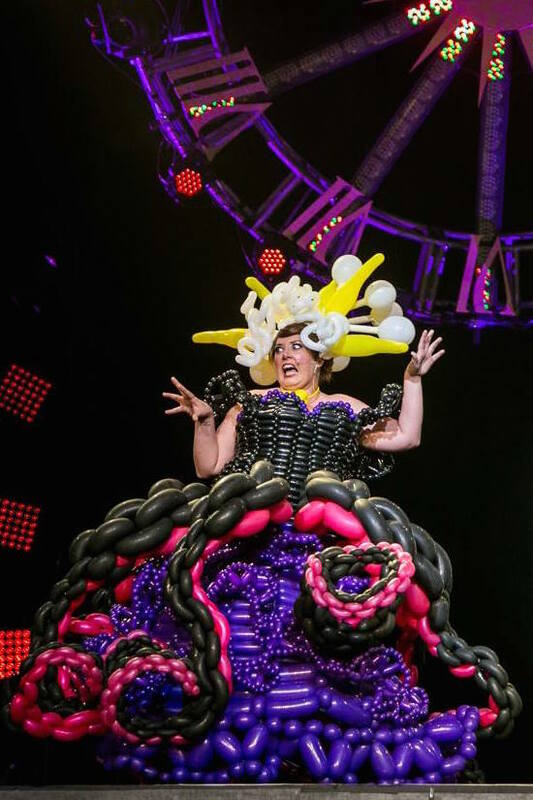 It is however hard work that Tawney has a genuine passion for, and this passion is reflected through her balloon dresses. 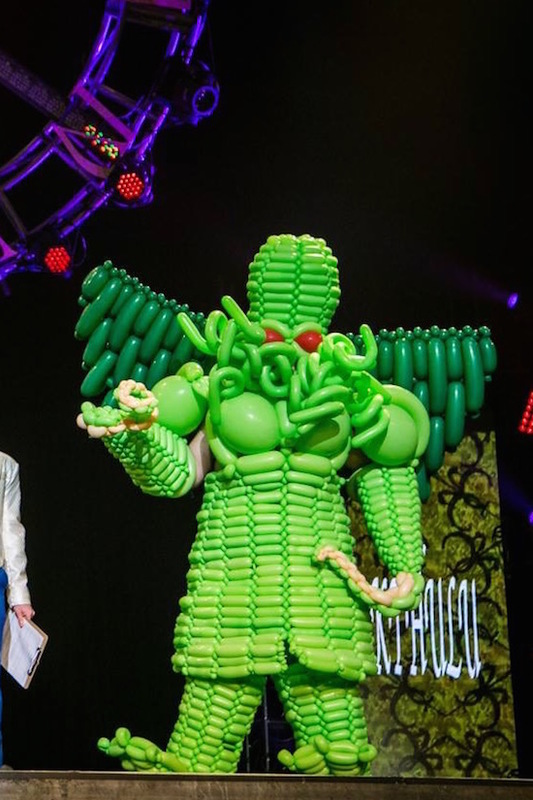 You may be wondering at this point what event one might wear a balloon dress to. 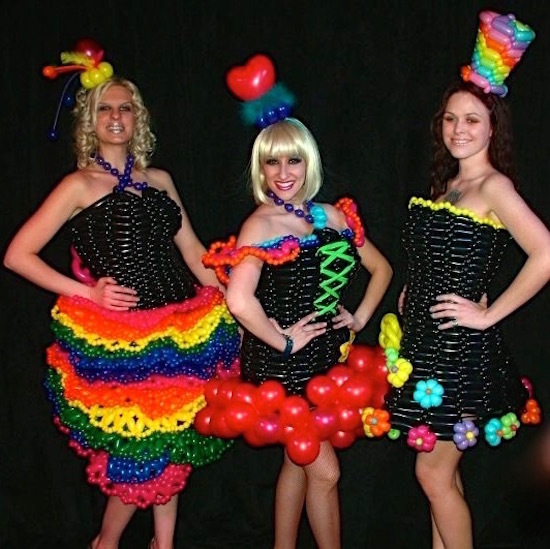 If you’ve taken a look at Tawney’s fabulous balloon dresses then you know that they can be worn at a wide variety of events and for many different occasions. 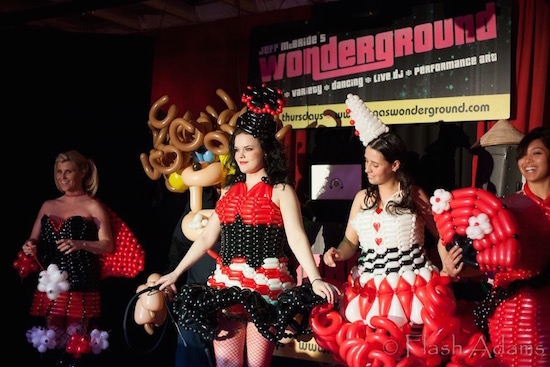 From corporate events and trade shows, to night clubs, award evenings and parties for any occasion, balloon dresses really light up a party and Tawney’s charismatic, friendly personality is always sure to liven up an event and add that extra umph to the effect of her balloon dresses! 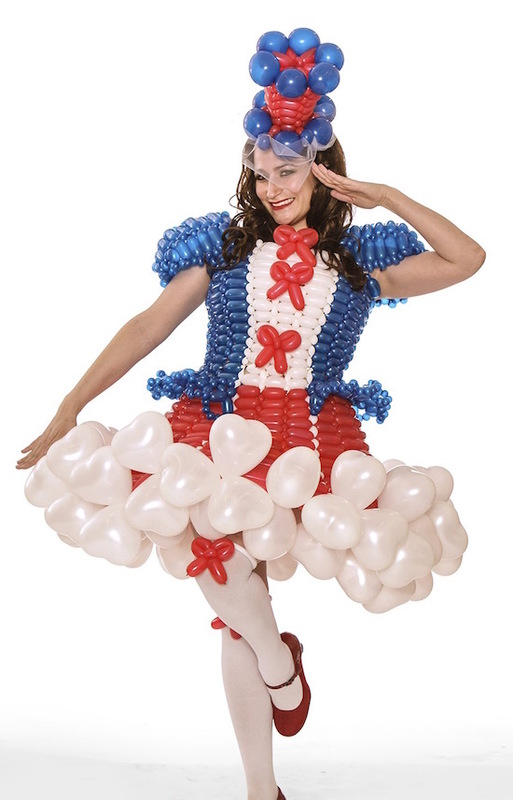 Her vast repertoire of balloon dress styles includes elegant looking pieces that help you to attain a sophisticated yet fun look, as well as playful, bright and whimsical pieces that will definitely be a point of conversation! 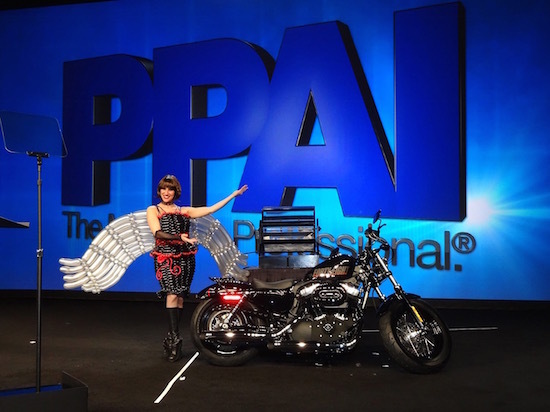 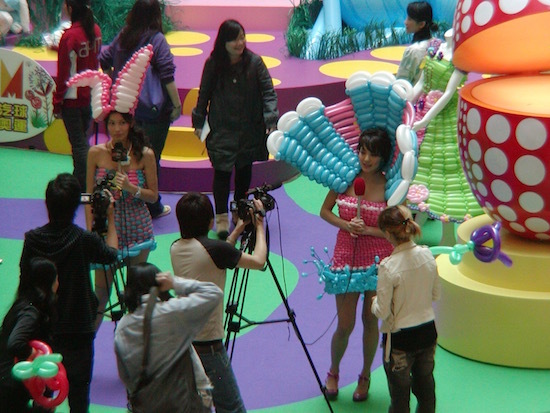 Tawney has showcased her balloon dresses at international events worldwide, from Hong Kong (where she held a fashion show for the APA Olympic celebrations) to Belgium (where her balloon dresses featured in a fashion show in Mol). 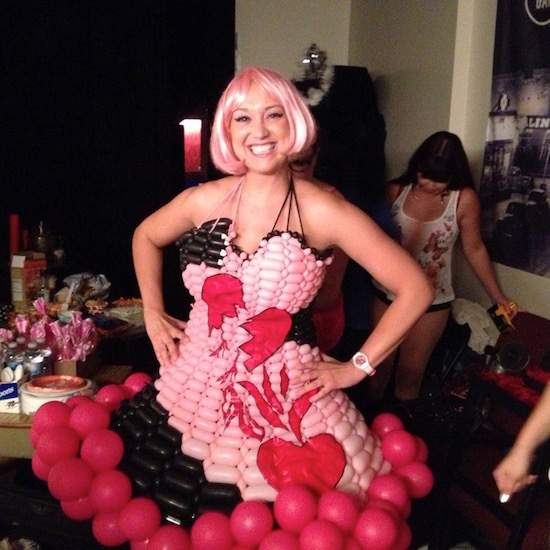 Her balloon dresses have also become huge hits in various nightclubs, for example at the Las Vegas Wonderground nightclub (where she has hosted several balloon fashion shows), and at the Daylight club in Las Vegas (where she designs dresses for a variety of different shows, including their burlesque shows). 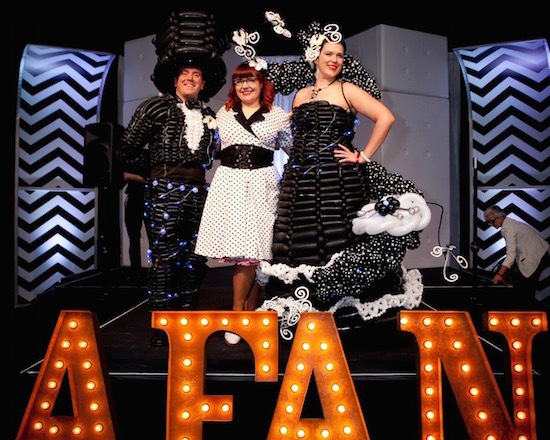 Tawney also designs balloon dresses for good causes; she is a featured designer for Circus Couture, and has created balloon dresses and tuxedos for AFAN’s Black and White Party (an event that draws over 3000 guests each year and raises over $130,000 annually). 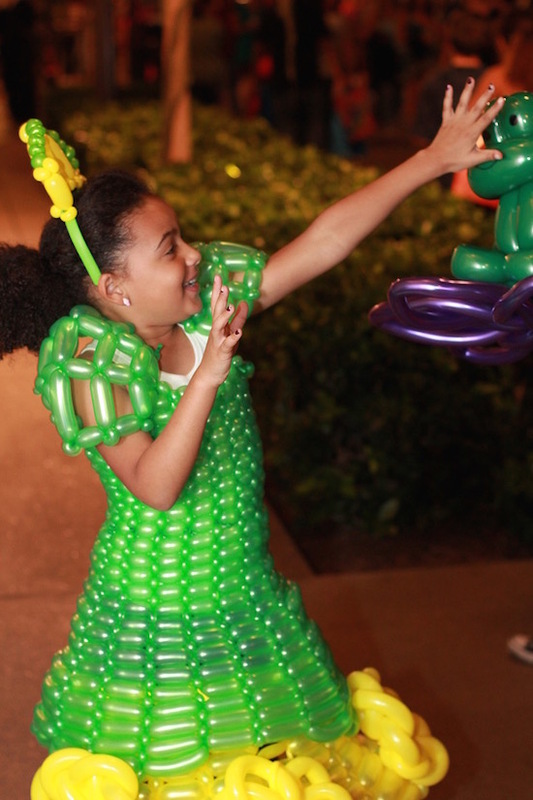 There’s no doubt about it, balloon dresses turn any event up a notch and are not only incredibly entertaining to watch, but are also fun to dress up in! 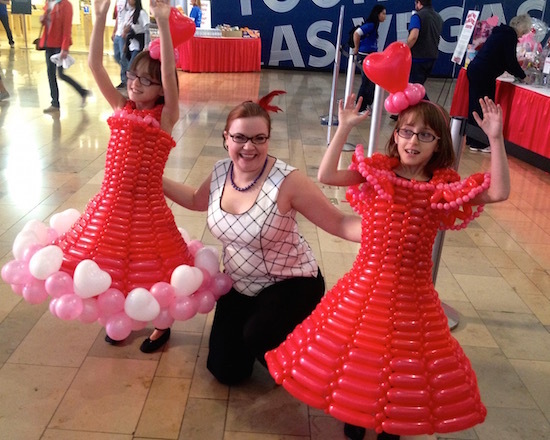 If you’re ready to take your social gatherings and events to the next level, balloon dresses are definitely the perfect way to do this!